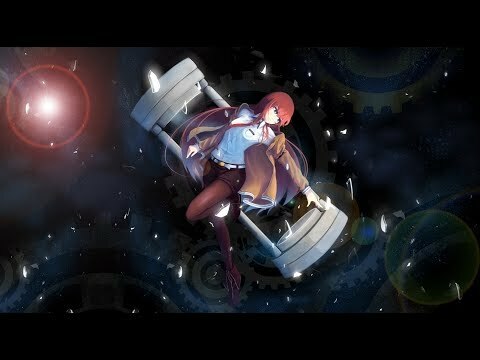 Steins;Gate is considered as one of the best time traveler anime ever. The characters, plot, setting, and not to forget: songs are just amazing. The movie version also emphasizing its powerful view about the danger of time traveling, which then made us felt sorry for the great-mad-scientist: Hououin Kyouma. This is my very first video. I hope it's not off too much. Enjoy the fluctuative-mind-blowing song ^__^ / ♪♪♪♪♪♪♪♪♪♪♪♪♪♪♪♪♪♪♪♪♪♪♪♪♪♪♪♪♪♪♪♪♪♪♪♪♪♪~ ▬▬▬▬▬▬▬▬▬▬▬▬▬▬▬▬▬▬▬▬▬▬▬▬▬▬ Song: Itsumo Kono Basho de Artist: Ayane Anime: Steins;Gate Fuka Ryouiki no Deja vu Ending Song ▬▬▬▬▬▬▬▬▬▬▬▬▬▬▬▬▬▬▬▬▬▬▬▬▬▬ DISCLAIMER: This Channel does not own any of the related media, this is only a fanmade courtesy music video intended simply for promotional and entertainment only. All related media are belong to the respective owner under Copyright Act.